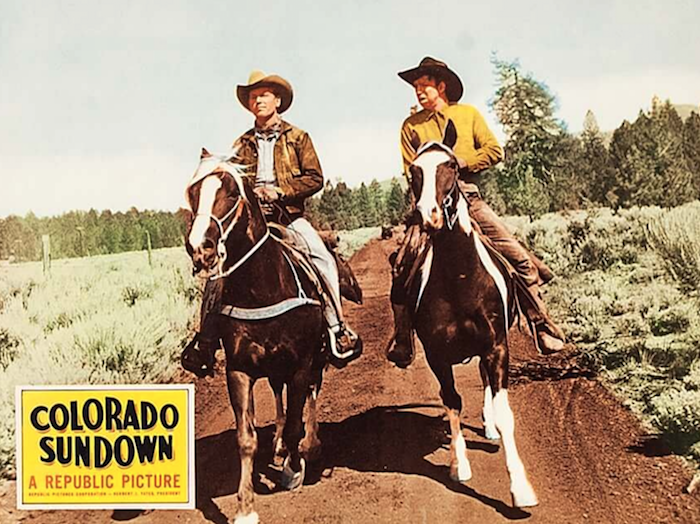 Republic Pictures | 50 Westerns From The 50s. 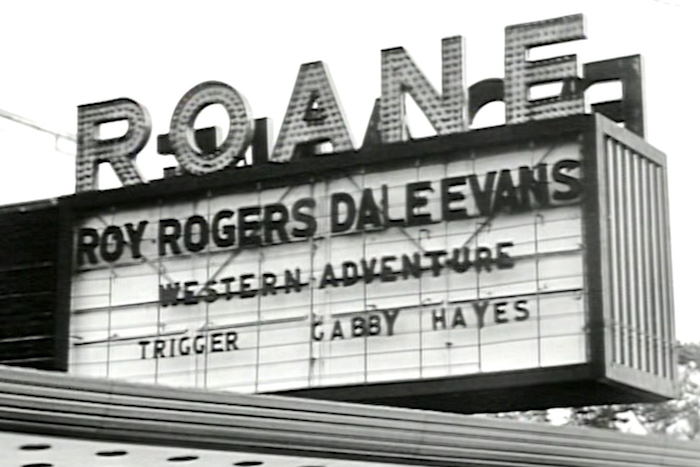 DVD Review: The Roy Rogers Happy Trails Collection. Mill Creek’s new four-disc set, The Roy Rogers Happy Trails Collection, gathers up 20 Rogers pictures spanning his entire career, and presents most of them in the same unfortunate condition we’ve seen before. However, the set does have its advantages. Many of these are from the later period, when William Witney was packing these things with action — and shooting some in Trucolor. They also had longer running times, which is where we run into trouble. Trail Of Robin Hood (1950), for instance, runs 67 minutes. In this set, it runs just 63 minutes and that includes the Happy Trails Theatre introduction. So it’s fair to say that up to 10 minutes of the film is gone. This pattern continues throughout, with the damage depending on how long or short each movie was originally. Young Bill Hickok runs under an hour, so it might not have too much missing. 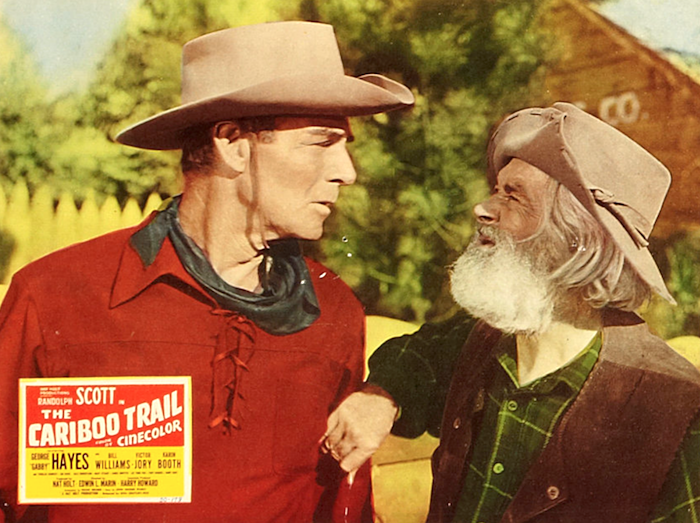 Cowboy And The Senorita (1944), Roy and Dale’s first film together is the odd man out. It does not have an introduction, and it runs its full 77 minutes. Looks pretty good, too. 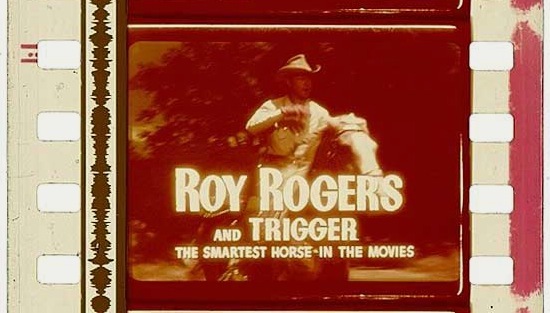 There are a few supplemental videos, some of them from the Roy Rogers Museum, which are nice to have — especially since the museum is no more, and it’s about as close to a tour as we’re gonna get anymore. Some of these films are available elsewhere uncut. (Trigger, Jr. from Kino Lorber is incredible.) Wouldn’t it be great to have them complete with the introductions included as an extra, the way the Gene Autry pictures are done? I’m dying for a full-length Spoilers Of The Plains. 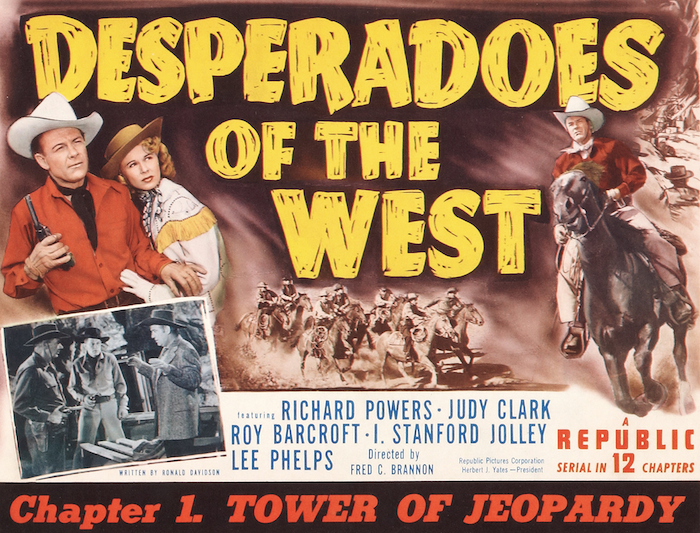 50s Westerns DVD News #275: Desperadoes Of The West (1950). 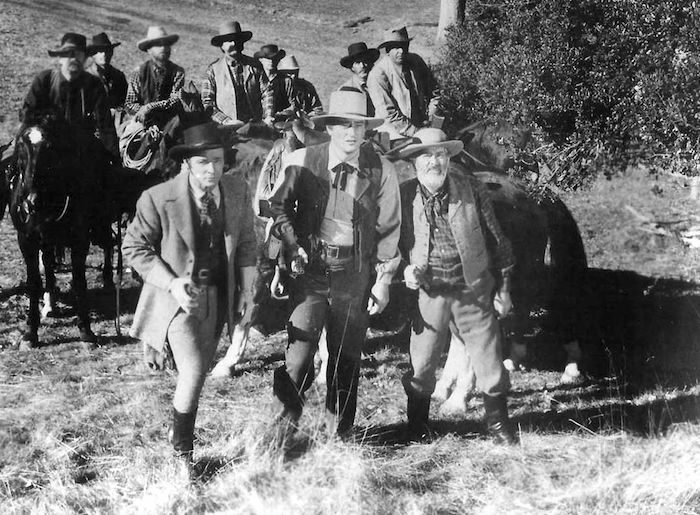 Serial Squadron has announced that they’re preparing a DVD release of the 1950 Republic serial Desperadoes Of The West. Though Republic would keep making serials through 1955, this was the last straight Western — others would would feature a masked rider and lift heavily from the Zorro stuff. Desperadoes works in its stock footage pretty well, pulling more from Republic features and less from their serials. Tom Keene, working here as Richard Powers, is almost always worth a look, but he seems a bit old for this kinda stuff (he was in his mid-50s). Keen’s career was beginning to wind down at this point. He’d work pretty steadily throughout the 50s in features and TV, with his last picture being Plan 9 From Outer Space (1959). Not a great swan song, especially after appearing in so much cool stuff over the years. 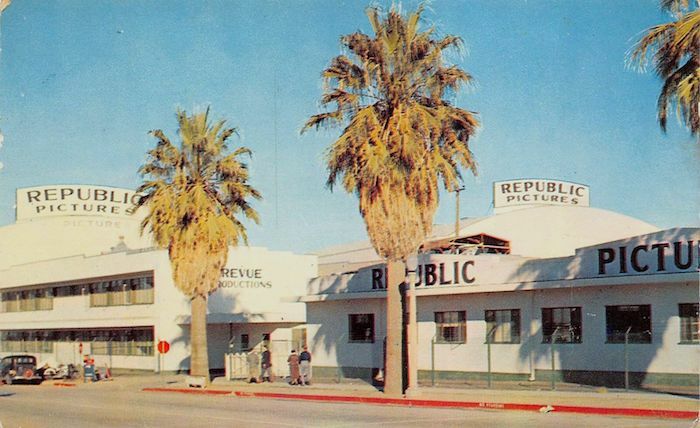 Republic’s serial budgets were extremely tight in the 50s — this one cost about $150,000. Each chapter’s short running time (chapters 2-12 run just 13 minutes) really keeps things moving, which is a big benefit if you watch them back to back. It’s been a long time since I’ve seen this one and I’m looking forward to a chance to revisit it. Thanks to Texican for the news. 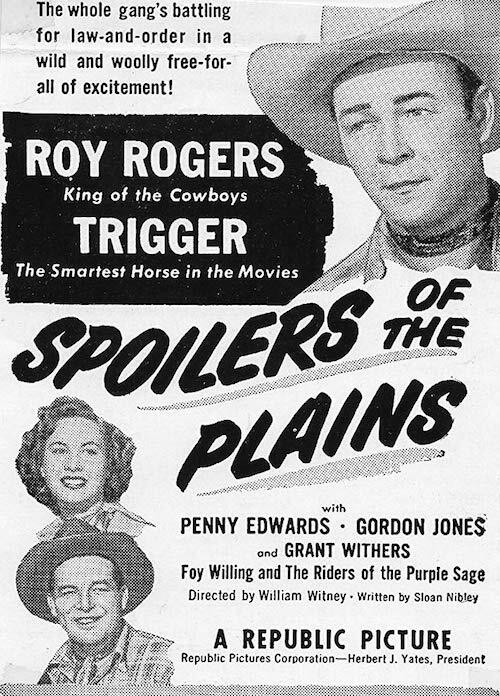 50s Westerns DVD News #270: The Roy Rogers Happy Trails Collection. Mill Creek has announced a 20-picture Roy Rogers DVD set — “authorized by the Roy Rogers estate” — for release in March. But so far, I can’t track down its actual contents. I have my doubts that it’ll give us uncut, color versions of the movies we’re all waiting for, since those are controlled by Paramount these days. Plus, it sounds suspiciously like the old King Of The Cowboys set from Timeless. Character Actor Of The Day: George “Gabby” Hayes. 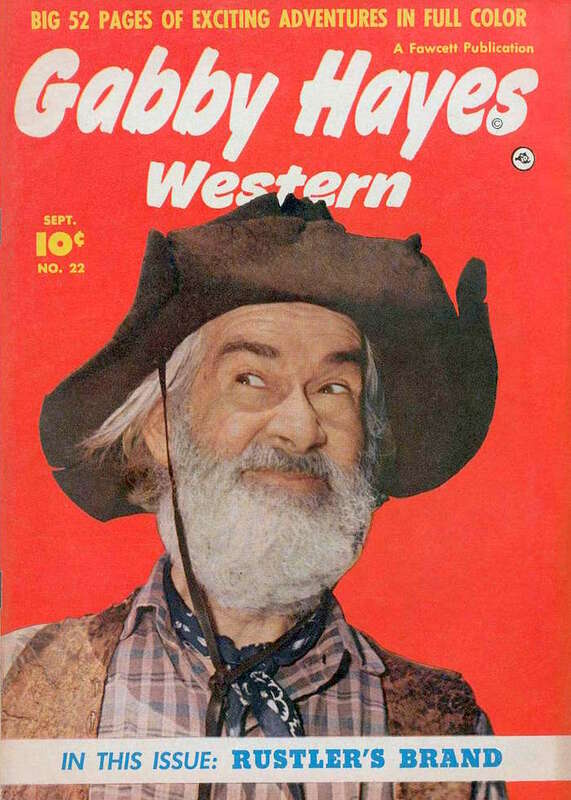 Since wrapping up a commentary for El Paso (1949), the Pine-Thomas Western starring John Payne, Gail Russell and Sterling Hayden, I’ve been thinking about Gabby Hayes. George Francis “Gabby” Hayes was born in his father’s hotel, the Hayes Hotel, in Stannards, New York. He played semiprofessional baseball in high school — and ran away from home at 17. He toured with a stock company, joined a circus, and became a successful vaudevillian. Hayes married Olive E. Ireland in 1914, and she joined him in vaudeville. Hayes was so successful that by 1928, at just 43, he retired to Long Island. But he lost everything in the 1929 stock-market crash, and Olive persuaded George to try his luck in the movies. They moved to Los Angeles. In his early days in Hollywood, Hayes played all kinds of roles — sometimes two parts in a single film. He did well in Westerns, though he didn’t know how to ride a horse until he was in his 40s and had to learn for a movie. In fact, he didn’t care much for Westerns. 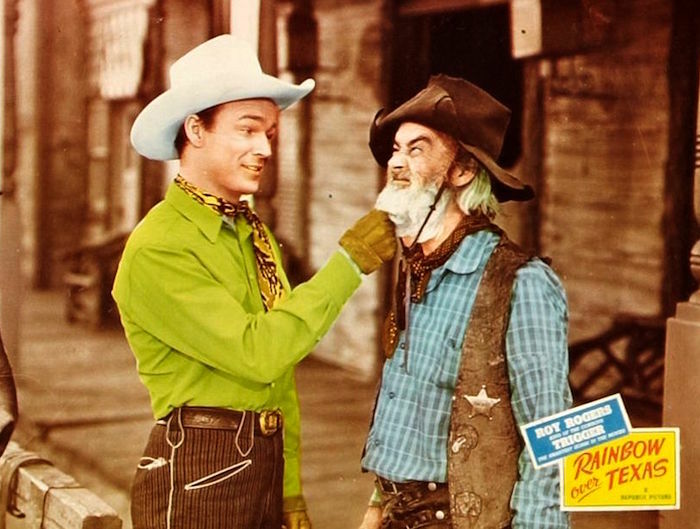 From 1935 to 39, Hayes played Windy Halliday, the sidekick to Hopalong Cassidy (played by William Boyd). 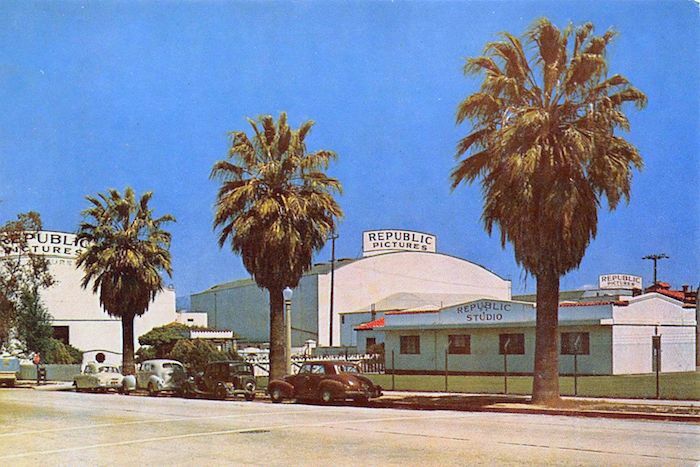 In 1939, Hayes left Paramount in a salary dispute and moved over to Republic. Paramount owned the name Windy Halliday, so he became Gabby. As Gabby Whitaker, he appeared in more than 40 pictures between 1939 and 1946, usually with Roy Rogers, Gene Autry or Wild Bill Elliott — and often working with director Joseph Kane. Hayes, Wayne and Rogers would all appear in Raoul Walsh’s The Dark Command (1940). Its dream cast also includes Claire Trevor, Walter Pigeon, Marjorie Main and Joe Sawyer. Its success would spur Yates to put more money into their John Wayne movies, and it hints at the bigger pictures Republic would do heading into the 50s. It’s a good one. 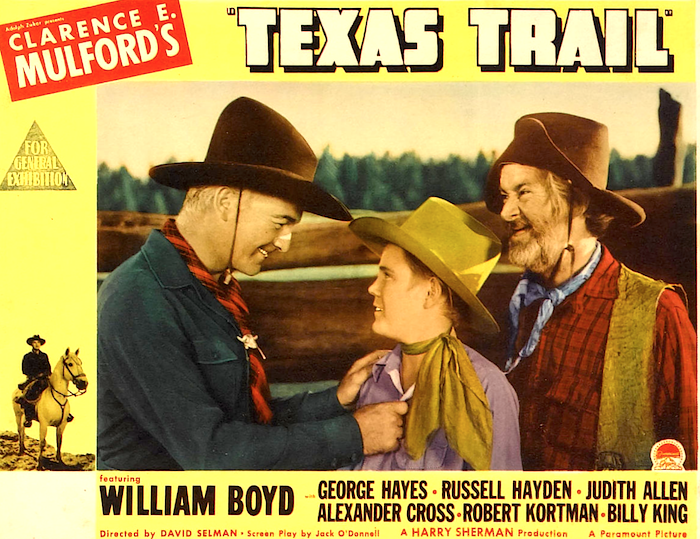 George “Gabby” Hayes’ last feature was The Cariboo Trail (1950) with Randolph Scott. He then headed to TV and hosted The Gabby Hayes Show from 1950 to 1954 on NBC and on ABC in 1956. When the series ended, Hayes retired from show business for a second time. He passed away in February 1969. 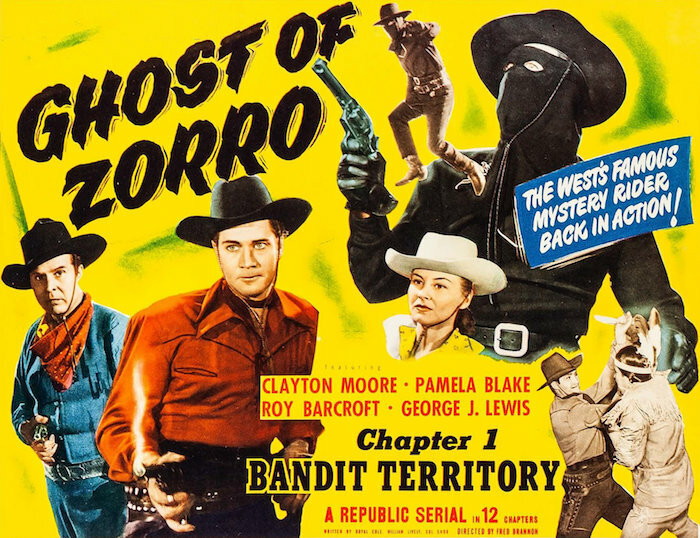 Pre-50s Westerns DVD/Blu-Ray News #269: Ghost Of Zorro (1949). Serial Squadron has announced a February 2019 release date for Republic’s 12-chapter serial Ghost Of Zorro (1949) on both DVD and Blu-Ray. This one borrows footage liberally from other Republic serials. It’s great to see Clayton Moore have a lead — without a mask. Can’t wait. When we think of Slim Pickens, what comes to mind are his performances from the 60s and 70s — One-Eyed Jacks (1961), Dr. Strangelove (1964), The Getaway (1972), Pat Garrett And Billy The Kid (1973) and more. But before Brando and Peckinpah ever called, he’d already in a slew of stuff like William Witney’s Colorado Sundown (1952) with Rex Allen. Of course, he was a rodeo clown before that. And he was never less than terrific. He was born 99 years ago today.